After the face-off between Faber and Mizugaki was scratched from the WEC 51 card, "The California Kid" is now ready to try his hand in a new division. The fight that was set for September is now all systems go to take action this November at the WEC 52 in Las Vegas. After a knee injury that sidelined Urijah “The California Kid” Faber for a couple of months, his debut is now set for WEC 52 versus Takeya Mizugaki. Primed to return on November 11, the former featherweight king dropped his last fight against Jose Aldo in April. After that, he decided go down to 135 pounds, making it the most talked about moves in MMA. He was set to face Mizugaki for WEC 51 in September, but a knee injury from training pushed the card off the fight. However, Japanese fighter and former bantamweight title holder, Takeya Mikugaki, is happy to wait a couple of months to welcome the 145-pound champ. Winning over Rani Yahya in his recent fight, Mizugaki is anxious enough to be Faber’s first test in the 135-pounds division. 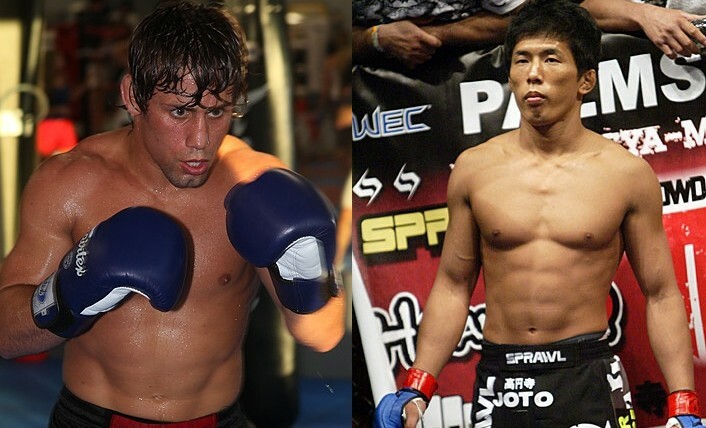 The Faber and Mizugaki bout will likely to be a co-main event for the WEC 52 in Las Vegas this coming November. The November show is set to feature the return of Brian Bowles, former bantamweight champion, versus Wagnney Fabiano. More fights will be announced for the upcoming WEC event, so be sure to check back again.